Where: The beautiful Jardin du Soleil lavender farm. 3932 Sequim-Dungeness Way, just north of Dungeness Community Church. What IS a picnic auction? Unique, hand-crafted picnic dinners for 2 are prepared by Sequim’s finest local restaurants and food artisans. Allow time to check them all out before bidding your best with a live auctioneer! 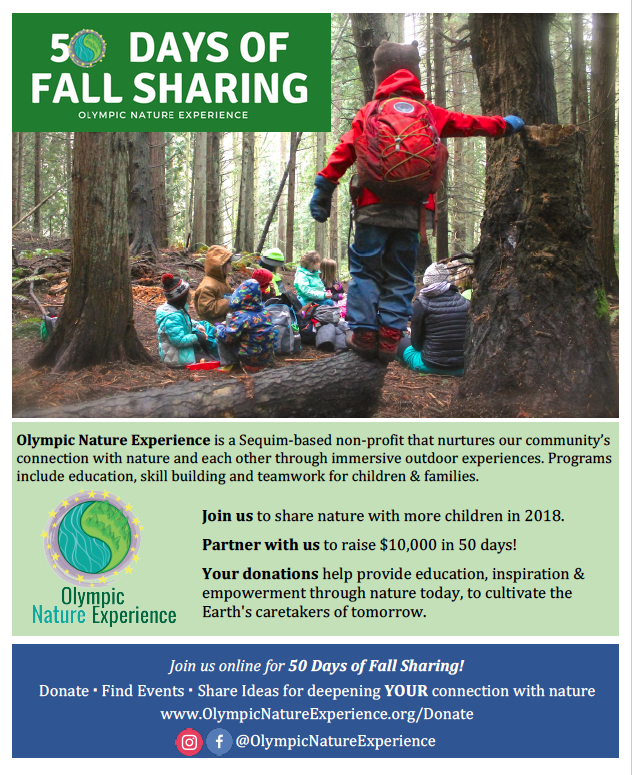 Details: Auction proceeds support Olympic Nature Experience Programs: Owl’s Hollow Nature School, Summer Camps, and Dungeness Adventure Club. Family Nature Activities: Primitive fire-making demos, nature crafts for families, native plant walks, and storytelling sessions. Live & Silent Auction: Choose from unique hand-crafted picnic dinners prepared by Sequim’s finest local restaurants and food artisans, bid with a live auctioneer, and enjoy your dinner in the lavender fields. Additional food and beverage for purchase from Pacific Pantry, Finn River Cidery and Port Townsend Brewery. Picnic Basket Drop Off Time is from 1PM to 1:30PM!